The nerve of Apple putting out better products every year. Apple has once again gone and ruined everything you own by releasing new products. The Macalope went through the same thing with a pair of Hammer pants once. When I received my MacBook Pro with Touch Bar in August of 2017, I was pumped. The kids call that “swole” now. Anyway, you’re pumping iron, you’re positively ripped, absolutely shredded, and your MacBook Pro arrives. We’ve all been there. Fast forward to 2018 when Apple has released the new MacBook Air and now that year-old MacBook Pro is a piece of crap. I thought I had made the purchase correctly. Kif. Kif. Ya did! Time is linear! All decisions must be made in the face of uncertainty! And now, just over a year later, I regret my purchase. 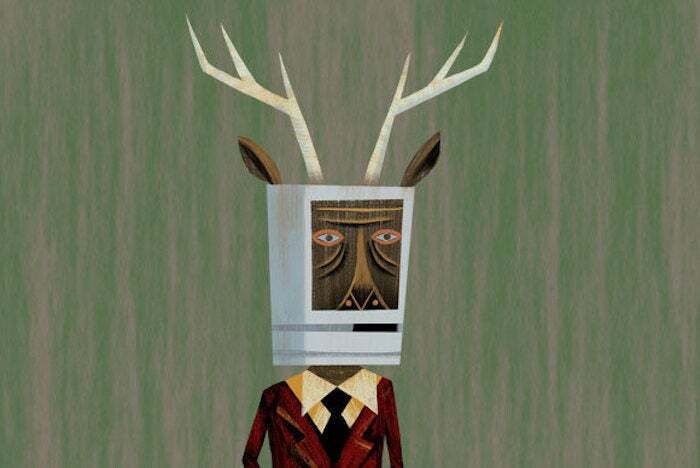 Dude, let The Macalope tell you about the times he’s bought a Mac and Apple’s released a new model less than a month later. Don’t come to him with your “ooh, it was just a year” nonsense. Get in line. Leswing says he’s mostly satisfied with his MacBook Pro except for the things he’s not satisfied with which are horrible. Let's start with the Touch Bar. I dislike it. I wish it weren't on my laptop. I wish it were in the ocean. Or hell. Or stuck in an elevator with Dr. Phil. No, that’s too much. Just hell. As far as technology goes, new things tend to be better than old things. Most of us know this but this appears to be a brand new discovery over at Business Insider. It appears to be the device that I wanted last year, when I bought my MacBook Pro. Oh, but it wasn’t available then, Kif. Kif. Kif. Kif. That was last year. This is this year. The MacBook Air does still have some shortcomings compares to the Pro — it has a less powerful Intel chip, for example. But I don't really need massive processor power. Welp. Can’t help you there. Eventually we do get to the acceptance stage but not until paragraph 23. Of course, it's not Apple's fault that every year it comes out with new computers that are better than the last year's models. But would it kill them to release crappier things right after I buy something?! …a little bit of my annoyance is due to the fact that all of these changes could've been made in 2017. The keyboard in the MacBook Air is an evolution of the MacBook Pro keyboard and this edition was not achieved until this year. The processor in the new MacBook Air wasn’t released until 2018. This laptop literally could not have come out in 2017.